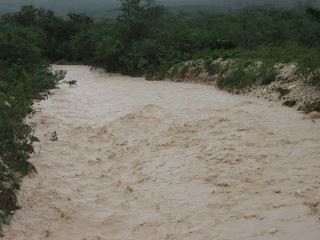 According to COTN–DR Country Director, Angel Peña, “Algodon and Los Robles have been hit hard. Many homes are halfway under water.” We received confirmation today that our school in Algodon is completely under floodwaters. Click here to find out more about donating to our Rescue and Restoration effort as we seek restore our schools, buildings and the households affected. Oct. 30th 5:30pm – COTN–DR Country Director, Angel Peña reports that all the COTN staff is actively engaged in the rescue effort. Staff members are taking displaced families into their homes and helping others settle into churches. The greatest need right now is food, wood and metal to replace lost roofs, and fuel.